This refrigerated bath circulator is perfect for controlling the temperature of externally connected applications and thermoregulation of objects directly in the thermostat bath! 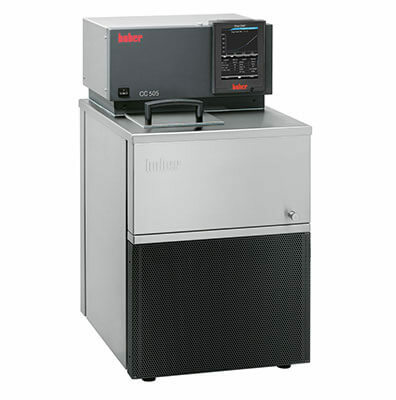 Typical applications include: photometers, refractometers, viscometers, double-jacketed reaction vessels and autoclaves. It can be used in mini-plants and kilo laboratories, for determining the freezing point, for deep temperature calibration, for petroleum tests, for temperature control of measuring devices and experimental setups as well as for materials testing and quality control.